What happens when art loses its character of verisimilitude, and whilst reflecting the reality, it becomes a tool of protest ? What does it mean for an artist to use the colours in an unconventional way and express them through the hidden meanings? 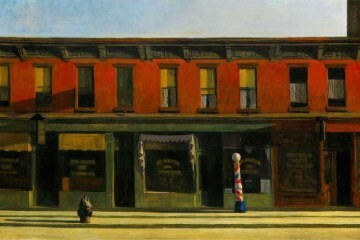 What lies between realism and the abstract? 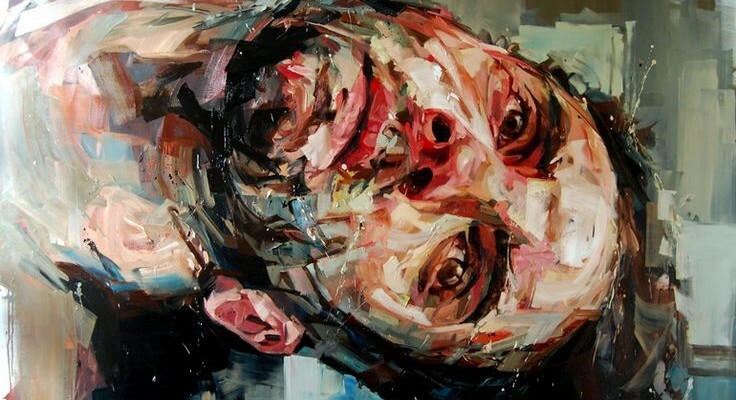 The work of Andrew Salgado seems to answer these questions through an exasperated reproduction of faces. 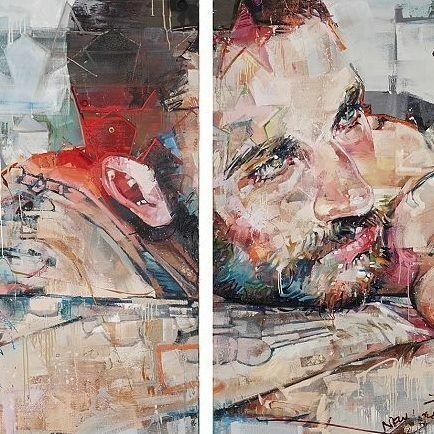 They are faces that attract the viewer’s attention in their expressive ambiguity between pain, sadness and tenderness in a subtle pictorial game that oscillates between what is defined as part of the body and what is instead a mere brushstroke, a simple decorative gesture. It is the observer to decide which of the two positions accept. There is no background that defines them unless other colours. 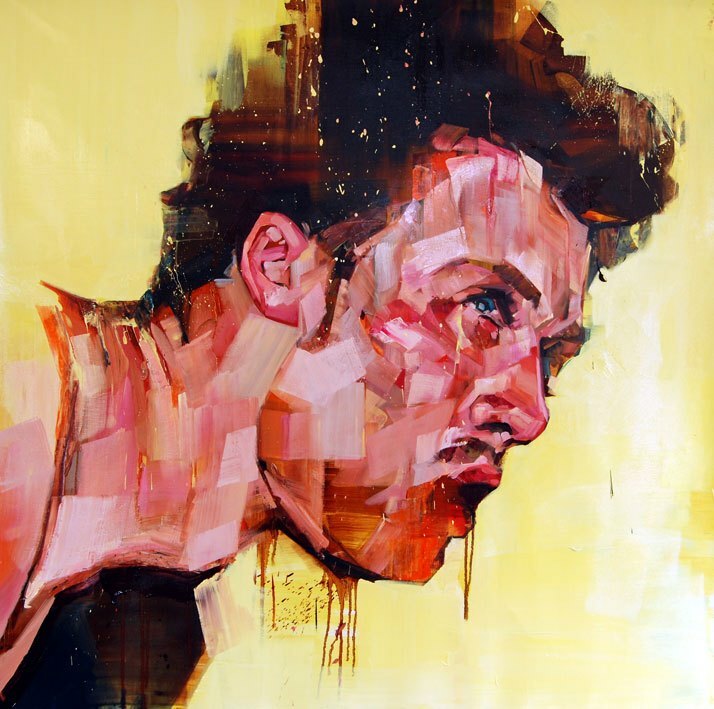 In this dynamism Andrew moves away from portraiture in the classical sense and embraces in his mastery ,the abstract, recalling the ambiguity of shapes and colours in the works of Francis Bacon, from which the artist draws inspiration. While in portraiture in the classic sense the portrait is defined as a realistic reproduction of the subject, the faces of Salgado range from the dimension of the reality and the imaginary in their aggressiveness and bear a message to express to the world. They reflect expressions, emotions and even if they are particular subjects chosen by Andrew amongst friends and clients, they could be the face of each of us. In strong brushstrokes that scratch the canvas till they hurt it with obvious cuts in the flow of oil there is something in which everyone could identify with. The artist explores universal features as the search for identity sexuality, transgression, pain, sadness , eroticism and leaves to the user the task of demarcating the theoretical border . 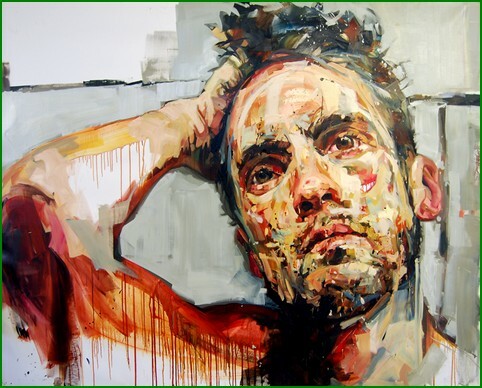 Andrew Salgado enjoying squeezing the palettes of tubes of oil paint, savouring their materiality. The liquidity of this medium that he manipulates and experiments with the search for new boundaries of expression, the artist tries something sensual and divine that gives him a sort of adrenaline every time he mixes new combinations. It’s like waver in darkness of the uncertainty in the knowledge that the light from the darkness new dimensions of colour will arise. 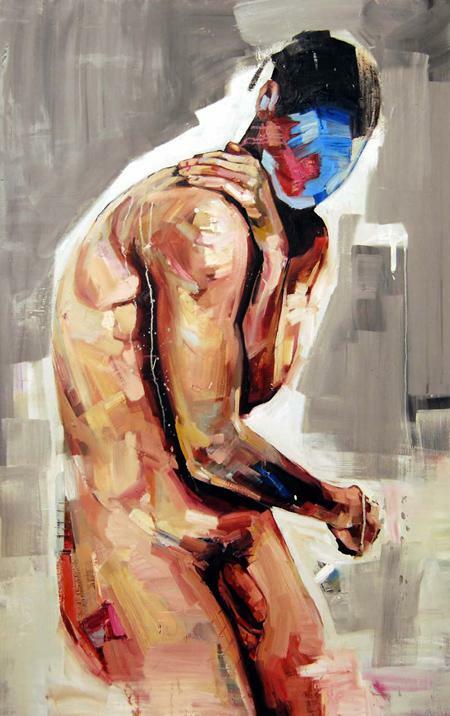 Following a homophobic attack in 2008, in which Andrew was transfigured in his face and deeply shaken by inner rage, the artist returns to our eyes, on large canvases, the image of a body, a face, in mostly part male, disfigured, deformed by a particular use of pigments. A monstrous face but at the same time with a strong emotional charge. In this painting experience that procures energy and movement, in the multiplicity of colours and in the vorticism of brush strokes it is a pleasure to follow with the eye the point where the linearity ends, giving way to other sinuosity of forms. The accuracy of the stretch here has no reason to exist, but there is a dispersive chaos that governs the canvas. The classic portrait gives way to a person who cries in his monstrosity and identifies with it: Apollo has surrendered its weapons to let Dionisio enter aggressively in his ethereal world. With a visceral use of strong colours and saturated colours in their chemical consistency recalling metaphorically blood, these faces ask for help at the same time express in their eyes glimmers of hope. They reflect the emotions not simple but they highlight the vulnerability of the human soul, which is why they often bear strong traits of melodrama. Nothing is static and serene in the art of Andrew Salgado , but everything is constantly changing and in this desperate sense of discontinuity of forms and lines that are searching by way ‘of pieces of a puzzle, to get pictorial entity, they acquire a strong political value , expressing a human body that has suffered, but that keeps the traits of kindness and vulnerability that are proper to him; a body that screams to his sexual identity in a world that has relegated to the margins, rejecting it because in his sexual diversity he appears in the eyes of the ‘ Other as transgressive and unconventional. And it is in this light that the painting becomes not only expressive moment, but a means of defence, and the political value is added to the therapeutic and cathartic. But who is the author who is behind such an expressive monstrosity? 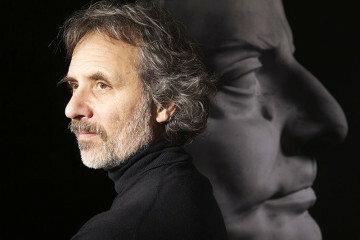 And what does it mean to reproduce in art the paradox of beauty and monstrosity? In 2009 he landed on European soil and, after graduating from the School of Art in Chelsea, has continued to travel on the crest of the wave, to the point of being defined by Saachi Gallery as one of 12 artists on whom to make a good financial investment. Despite his reputation, he still retains the character of a common boy that one could meet on the streets of Schoredich . Nourished by readings of George Bataille , Andrew perceives the human experience as primarily instinctive and the appearance of its monstrous faces, reduced to victims, definitely confirms this assumption. In doing so, he contextualizes the dichotomy between the concept of man macho , institutionalized in the canons of man with strong muscles and invincible as a warrior; and homo , a subject with his defaillance , vulnerability, a being without power and transgressive and therefore considered deviant and ready to crack down on himself. And in this way the archetype of Greek man perfect, aesthetically complacent, leaves room for a man disfigured, diverted, a being who dares to transgress, coming out from the canons of hic complacent sexuality. 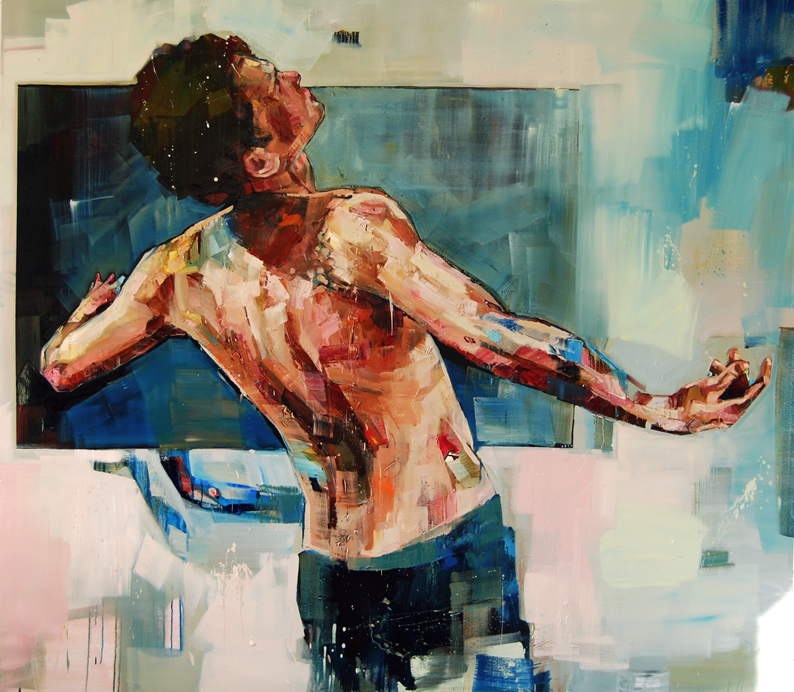 Paraphrasing the ‘ Erotisme of Bataille , it is as if Andrew Salgado would use his brushstrokes to torture the human spirit, to cause death. And like the blade that penetrates violently into a body and cause injuries, so the art transgresses, causes an emotional shock in the viewer, moves away from the usual techniques and creates monsters, beings that no one would dare to look because they are horrifying, bearers of our unconscious fears , instincts that we would like to repress with respectability and conventionality. And in this lack of solid certainties that being will define himself. 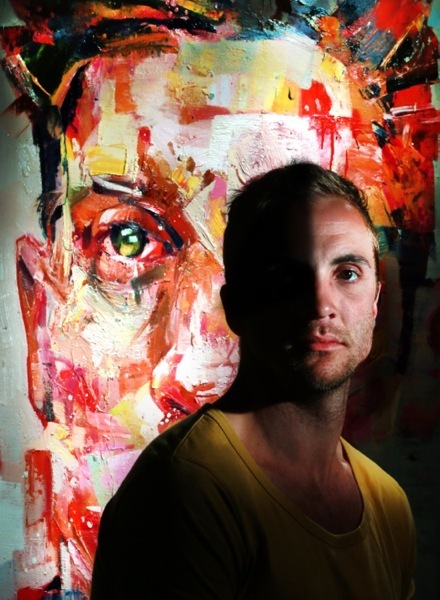 The face in the paintings of Andrew Salgado, in the extreme rapidity of expression symbolizing the flow of our feelings, is contextualized in the mind of the observer. If the artist destroys with the use of the new rules, with his sense of uncertainty in making, undo and recreate techniques unexplored; the observer reconstructs, creates an identity, following his own thought patterns and continues albeit metaphorically in defining what was mentioned in the first and unconscious level to another. And, as a kind of transfer, fear, desires and fragility are reasons to exist in the eyes of the beholder . And it is only then that the self is defined by the other.